President Grabar-Kitarović opens the event (Ured Presjednice). More than a hundred exhibitors from Italy, Slovenia, Montenegro, Bosnia and Herzegovina, Serbia and Croatia are presenting their young olive oil, culinary products and farming equipment at the 14th Young Olive Oil Days in the Istria County town of Vodnjan, which opened on Friday and will run through to Sunday. Attended and supported by the President … ScoMo as MC for the 2019 National Olive Conference? Zoning your farm should be a priority to secure your farm against diseases, pests and weeds – but it’s not an easy task to retrofit biosecurity measures on a farm that was set up with other priorities in mind. There’s some great advice here. The verdict is in: Sydney's dining scene is stronger than ever. Get your knife and fork ready, Pat Nourse rounds up the tables worth a visit in 2019. Why is this here? For the Bert’s menu listing of “grilled lobster with hojiblanca olive oil and lemon”, taking the message about the varietal nuances of EVOO to the public! If you’ve got something industry-related to sell, you can reach your target market directly with Olivebiz Classifieds. The online Classifieds service is an easy and inexpensive solution to advertising your unwanted equipment, extra oil - or even your grove. And if there’s something you’re looking for, it’s the ideal way to get the message out loud and clear to your peers and industry associates. Olivebiz Classifieds are online now at www.olivebiz.com.au/classifieds. To arrange a listing, contact Gerri at wordsync@bigpond.com. Women currently working in the horticulture sector have a final opportunity to register their interest in a scholarship worth up to $7,000 to support participation in a leadership development program. Funding must be apportioned by the end of 2018 and it is unsure when these grants will be available again. Find out more and register your interest by completing the Expression of Interest form here prior to the extended deadline of December 14. Tasmania’s New Market Expansion Program is open to small-and-medium-sized enterprises with a sales turnover of between $300,000 and $20m. 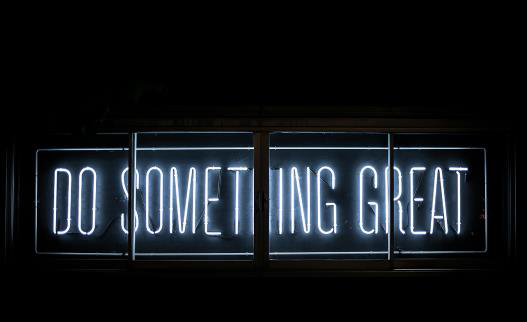 Eligible applicants receive a financial rebate to offset the costs of market research and business matching services, promotional activities and materials including advertising, attending trade exhibitions and promotions, assisting with inbound buyers' visits and travelling to undertake marketing activities. For more information email trade@stategrowth.tas.gov.au. Two free tickets each (worth $2200) to EvokeAG are on offer to 15 ag start-ups, providing the opportunity to showcase their business to a room full of local and international investors, corporates, government, producers, researchers and other entrepreneurs. The event is being held on 19-20 February 2019 in Melbourne. More info and apply here. SA-based food manufacturing businesses are eligible for the matched-funding Business Transformation Voucher Program to develop new business models, undertake R&D, training or buying capital equipment to boost efficiency/capability. Applicants must be a financially viable business of 12+ months with most of its business conducted in SA. More information. Loans of up to $250,000/project are available through the NSW Rural Assistance Authority’s Farm Innovation Fund to improve permanent farm infrastructure and ensure long-term productivity and sustainable land use. Funding is ongoing – find out more and apply here. December Olivegrower not far away – have you renewed your subscription? 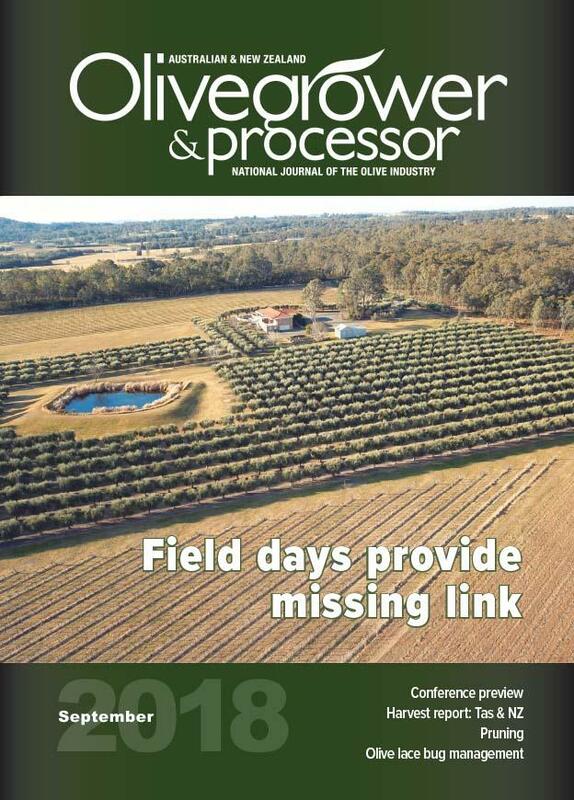 It’s not long until December, when the next edition of Olivegrower & Processor will be making its way to letterboxes across Australia, New Zealand and beyond. If you’ve received a renewal notice and haven’t gotten around to paying it, now’s the time to act to ensure you get your copy – as always, it’ll be chock-full of great news, R&D and practical grove information, so you don’t want to miss out! You can renew your subscription here through our secure e-way payment system. It takes just a few minutes, with a tax invoice arriving immediately in your Inbox. 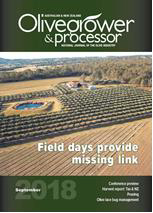 Don’t forget your subscription also includes registration to the weekly Friday Olive Extracts e-newsletter, plus 24/7 ONLINE access to each print issue at www.olivebiz.com.au. SA and Tas IPDM Field Days: be there and protect YOUR grove. The calendar of national IPDM Field Days continues tomorrow at Roseworthy in South Australia after another successful event in Pomonal, Victoria last week. 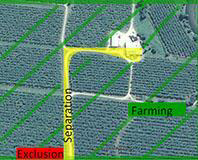 The Field Days are part of the national program in the olive levy-funded project: An integrated pest and disease management extension program for the olive industry (OL17001) and if you’re lucky, you may just sneak in a place at the SA event. Bookings are open for the Tasmanian event, being held at Glendale Olives in Launceston. Organized by the AOA in conjunction with Western Sydney University, the field days explore IPDM extension services, focused particularly on black scale, olive lace bug and anthracnose management. Vital information from industry experts combines with the opportunity to share issues and experiences with other grove owners, making these “must do” events for EVERY GROWER. An additional Field Day will be held in the Mornington Peninsula region in February 2019, with WA events on Friday, 15 February at Gin Gin and Sunday, 17 February at Margaret River. Details of these events will be confirmed later in the year as they are finalised. More information, registrations and view the full program here. Designed to support the Australian Government’s ambition to make agriculture a $100 billion industry by 2030 the Global Forum for Innovations in Agriculture will showcase hundreds of innovations to help Australian farmers and agribusinesses improve the sustainability and sophistication of their food production business. The event is being held on 27-28 November at the Brisbane Convention & Exhibition Centre and entry is free. Register here. Olives NZ have issued a timely reminder that if you grow/sell olive oil then you must apply for National Programme registration before 30 November. 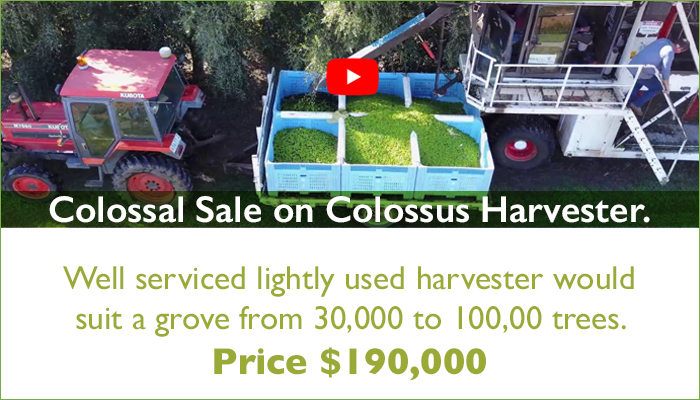 The ONLY exception to this would be growers who lease their grove or contract grow for someone else, and many processors won’t process olives unless a grower is registered. Olives NZ has arranged an exemption for growers who package their olive oil to register under National Programme One (NP1) rather than Three, providing greatly reduced complexity and cost, using the Olives NZ National Programme Template ($250 incl GST). For more information or to purchase the template contact EO Gayle Sheridan Olives New Zealand at admin@olivesnz.org.nz. 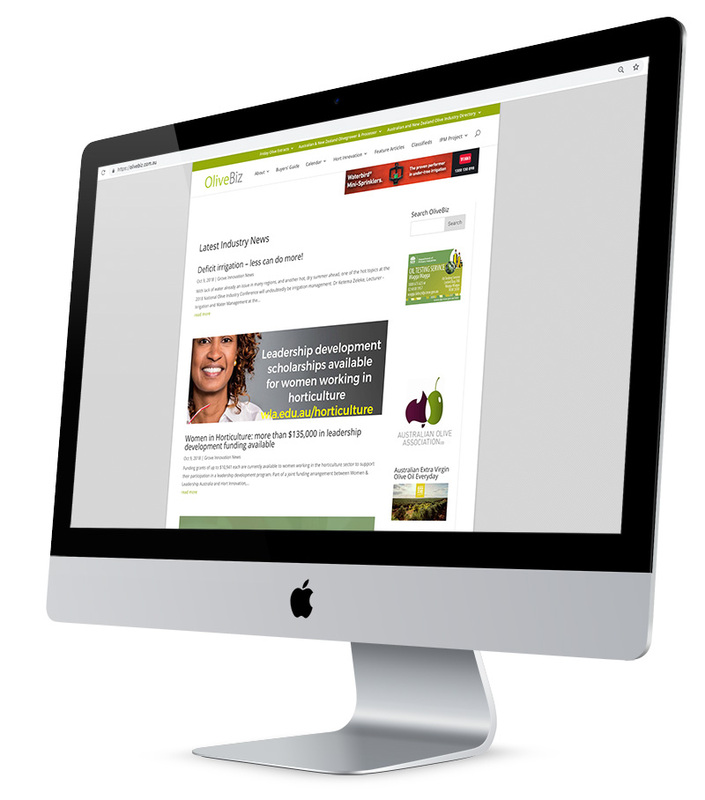 The year is rapidly ticking by, with Friday Olive Extracts (FOE) continuing to bring all the latest industry news and events to your Inbox every week. THE place to share olive industry news, event details and reminders, our industry e-newsletter keeps growing in popularity and we now have nearly 4000 subscribers across the globe. If you’re not one of them, you can sign up here. The Food Safety team at MPI has provided Olives NZ with the draft Codex document covering proposed revisions to the CODEX Standard for Olive Oils and Olive Pomace and has invited comment from both Olives NZ and members. Closing date for input is 30 November 2018, with comments collated into New Zealand’s submission to the Codex Secretariat. Access the relevant documents here. Olive oil production in Italy has dropped 38% this year to just 265 million kilograms - a value close to the historical low. The warning comes from the farmers association, Coldiretti, after analysing forecasts released by ISMEA. Elana Baurer and her husband, Drew Kotler, have been bombarded with medical bills since their first child was born in August. In the pile of charges for ultrasounds, doctor’s visits and hospital equipment, one stood out: olive oil, $63. That was for one ounce. Wouldn’t you love to sell oil at $2130 (US) a litre! 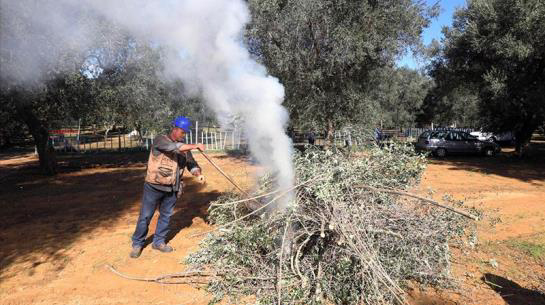 Izmir officials organised an olive oil harvest of more than 200 olive trees, many of them more than 500 years old, with the funds made from oil sales supporting scholarships for local students, HaberTürk reported on Sunday. The US Food and Drug Administration (FDA) has approved a "qualified" health claim for consuming oils with high levels of oleic acid to reduce risk for coronary heart disease (CHD). A new study has revealed two product attributes that are getting people talking on social media: clean label ingredients and indulgent experiences. Turkey wants to ramp up olive oil business with the US – already its biggest export destination – and sees a future in single-source, premium varietals rather than bulk. But can it spark enough interest? The destruction of olive trees infected with a bacterium has caused controversy in Italy.Credit: Fabio Serino/Ropi via Zuma. 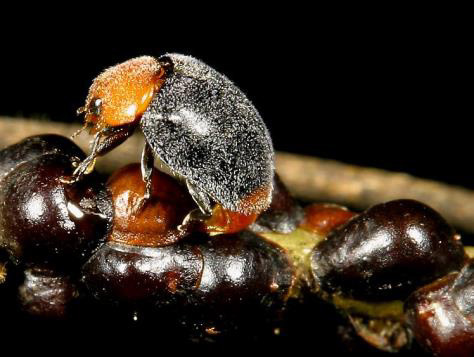 A vicious bacterium that is devastating southern Italy’s valuable olive groves is still spreading years after it was identified, because of opposition to measures meant to contain the pathogen. 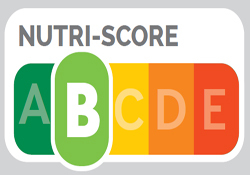 Joanna Mooberry, marketing manager at equipment manufacturer Mettler-Toledo, argues how track and trace can help combat food fraud.